Happy Birthday Senator Mike Sonko as you prepare for Nairobi county seat. - Bana Kenya News, Real African Network Tubanane. 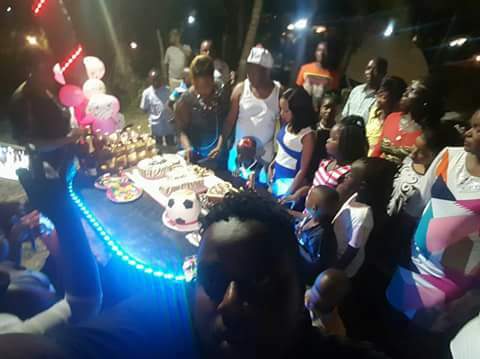 Home Social media Happy Birthday Senator Mike Sonko as you prepare for Nairobi county seat. Happy Birthday Senator Mike Sonko as you prepare for Nairobi county seat. The Nairobi Senator Mike Sonko celebrated his birthday with people from different areas across Nairobi. He went mostly to the needy people and took advantage of the doctors strike. He had a team dubbed as "Sonko medical Camp" that assisted hundreds of people across the county. The senator is expected later to celebrate his birthday with youths in a famous joint where they will be watching a football game between Liverpool and Arsenal. After the game, he will also lead the youth to one of the Nairobi theatre for a movie before dispersing. "I celebrated my birthday with Patients from different parts of Nairobi at the Sonko medical camp at Nyayo Stadium. This year my birthday gift to Kenyans is to provide free medical services to all Kenyans until the Doctors strike is called off." The senator has always been different compared to other leaders in Nairobi. All his birthdays have been different compared to other leaders who lock themselves in posh places only to know what happened in social media when they post the birthday pictures.